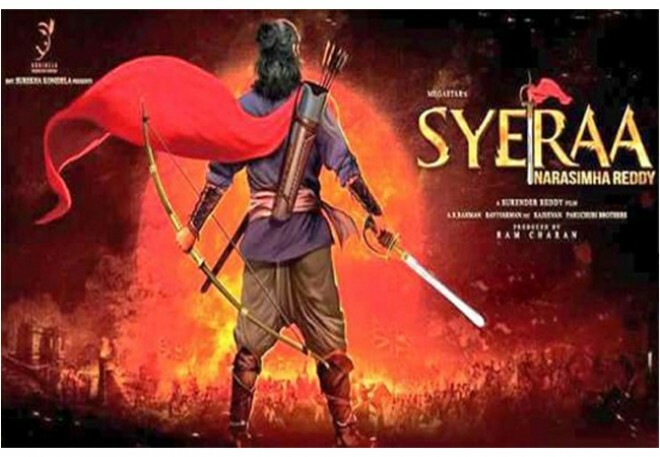 Hyderabad, Feb 25: The shooting of Mega Star Chiranjeevi's forthcoming film Sye Raa has apparently been stopped at Bidar in Karnataka. Coming to more details, The shooting was apparently stopped after a police complaint was filed by Muslim youth who objected to the shooting of this film in a religious area in Bidar. In this regard, A case was filed at the police station against the film’s director Surender Reddy and Kannada actor Kichcha Sudeep. According to the latest reports, a case was filed by the Muslim community in Bidar because of a set that was erected near the Bahmani Sultan Castle. The set was reportedly erected close to a Muslim prayer area, and the Muslim community objected to the Hindu idols erected on the sets of the film. The Muslim community in Bidar is also said to have staged a protest demanding for the removal of Hindu idols in the Muslim praying area. According to the latest reports from our sources, the shooting of Sye Raa will now be continuing at a set that has been erected at Kokapet in Hyderabad.